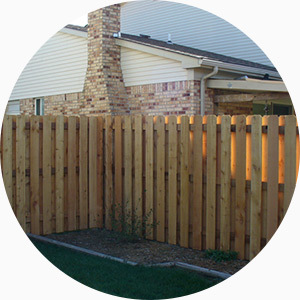 Michigan Fence Solutions, LLC, will warranty any defects in workmanship for the first 4 years after the fence installation, which is double the warranty of most other fence companies. The condition of the warranty covers installation errors only. Fence materials will change appearance, dimension and shape due to the process of aging and exposure to the elements. Wood fence materials are subject to warping and cracking. Defects to the fence and fence hardware caused by these natural changes to the material are specifically excluded from this warranty. Although, it may be be covered by the actual manufacturer’s warranty. Also excluded from our 4-year Installation Warranty is normal wear-and-tear, vandalism, vehicular damage, and damaged done from climbing or swinging on gates. Our vinyl fence material is truly the best of the best. To prove that, it is covered by a True Lifetime Warranty against any defects such as peeling, flaking, blistering, rotting or corroding. In addition, the fence includes a 35-year transferrable warranty from the date of install. In addition to the warranty above, for 7 full years following date of purchase, original homeowner purchasers of American Made (vinyl extruder) vinyl fence have True Quality Protection. During this period, American Made, at its’ option, will repair or replace the defective product, including labor or installation by American Made or by Michigan Fence Solutions, LLC. Our chain–link Fence materials are covered by a 12-year warranty.